Custom figured walnut and tiger maple Kitchen... with grain matched walnut and maple frames and panels. 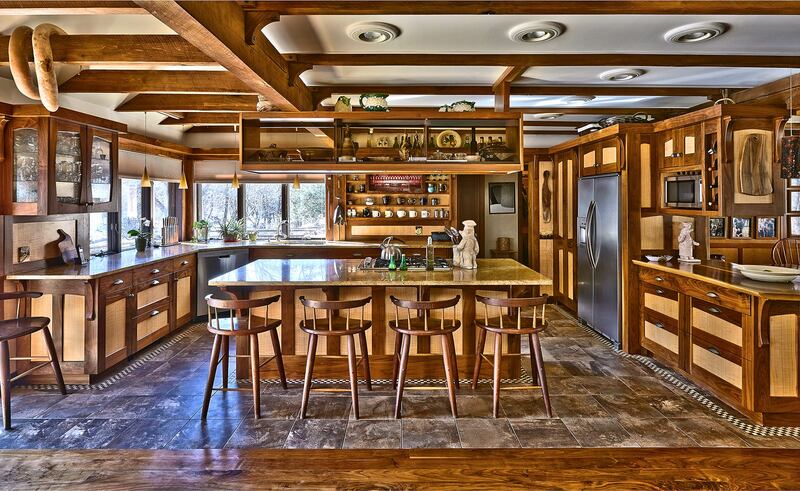 This kitchen is a unique original . It has antique glass cabinet doors, and hand made solid walnut corbels. We also built the counter stools.